90 minutes plus or minus 15 minutes. 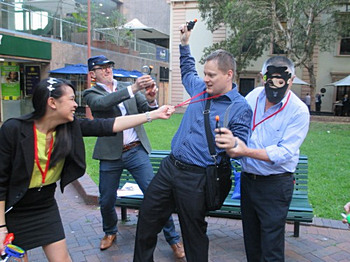 Icebreaker Plus is a brilliant team building activity that started life as a short, simple version of Amazing Race and is now a best seller in its own right. It ticks a lot of boxes; it’s simple, fast, fun and engaging. Plus people don’t get sweaty or require a change of clothes. The event is flexible and can fit into virtually any agenda. Featuring our popular photography and creative challenges, everyone has a great laugh and enjoys the photos they’ve taken. Whilst it isn’t fiercely contested, there is just enough competition to make the result interesting. You are looking for a cohesive, engaging, sure fire team building activity that lasts around 1.5 hours. 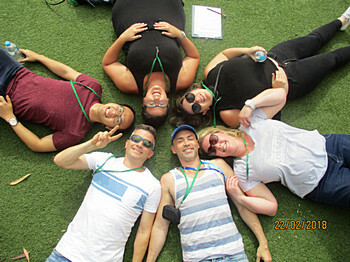 Icebreaker Plus will get your delegates outside enjoying themselves, bonding and experiencing one of Brisbane’s most photogenic area. Also can be easily moved indoors to your venue at short notice, so there is no weather anxiety with this event. 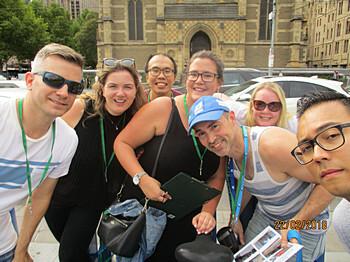 Most teams complete 4 creative activities on the course which starts at Flinders St Station, includes the Botanic Gardens and finishes at Southbank. 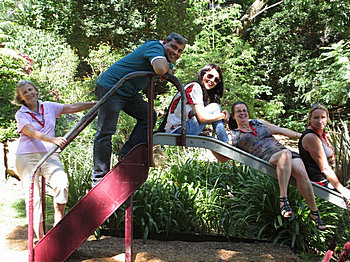 For example, teams have to locate a series of locations to use as backgrounds, copy fun poses and and compose interesting photos. We also stage action scenes to get “in the moment” pics. We also include a creative story board activity where teams portray characters involved in a heinous crime (you will see the photos of this activity as it includes simple costumes and props). 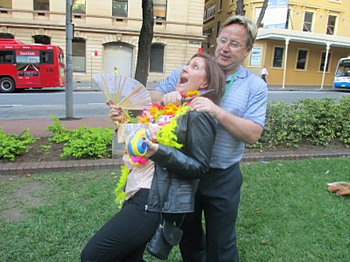 Teams that do well at this event are often very creative in approaching their photos. There is a fair bit to do in the time allowed, so teams must also be smart about their time use to complete all their tasks. 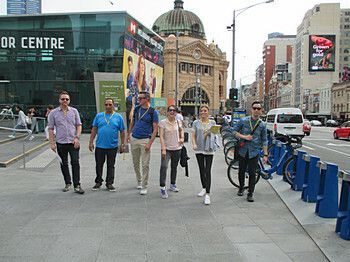 To cut down on the walking time, this event is confined to a short distance (under 30 minutes of total walking). Working in teams up to 8, we generally start at a central location and finish at your venue or a popular watering hole for a well earned drink. and 2 – 4 experienced facilitators. It generally takes around 1.5 hours, we can shorten or lengthen by 15 minutes if required.